Standard Series 12 Volt (12V) 400 amp hour 5D-MODULE Lithium Ion Battery for Marine, Recreational Vehicles (RV), Solar Power Systems, Commercial Trucks and Other Applications - Lightweight, Powerful and Safe Lithionics Lithium Ion Batteries. 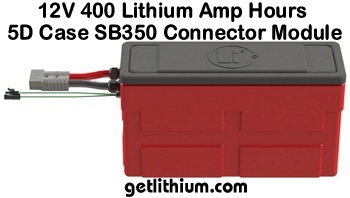 A versatile, lightweight lithium ion battery with 400 Lithium Amp Hours Reserve Capacity, 960 Reserve Capacity (RC) minutes and 5,120 Total Watt Hours capacity. Active shunt cell balancing included. 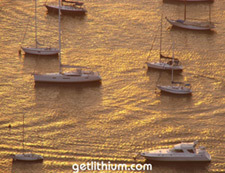 Massive cranking Amps: more than 2,000 cranking Amps. The above case measures 24" x 8" x 13.1" height. Add some extra space to the length for the cabling (we can provide longer 2 gauge cable if needed). 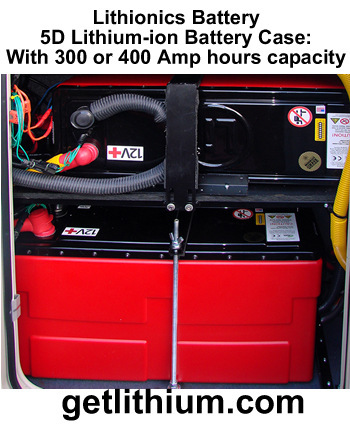 Graphic shows two of these Lithionics lithium-ion batteries in the "5D" battery case - one mounted conventionally (upright) and one mounted on its side to fit this tight battery compartment. 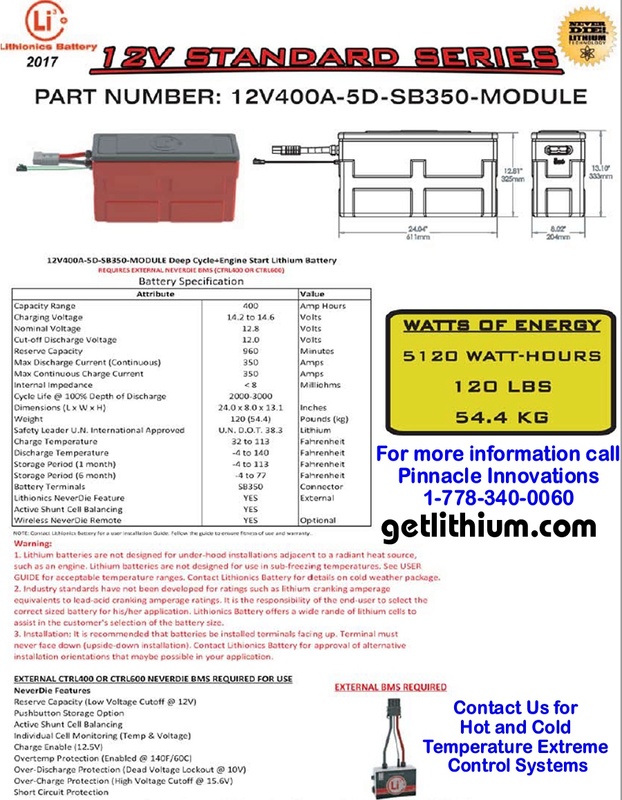 This battery is also available with the Advanced Version 8 NeverDie Battery Management System (BMS) rated at 400 Amps continuous charge/ discharge for $6,843.29 USD. 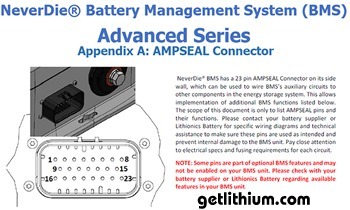 The Advanced Version 8 BMS has the State of Charge Monitor Kit (SOC) sending unit built-in (forms about $400 of the cost) so you can add the SOC gauge at minimal extra cost. 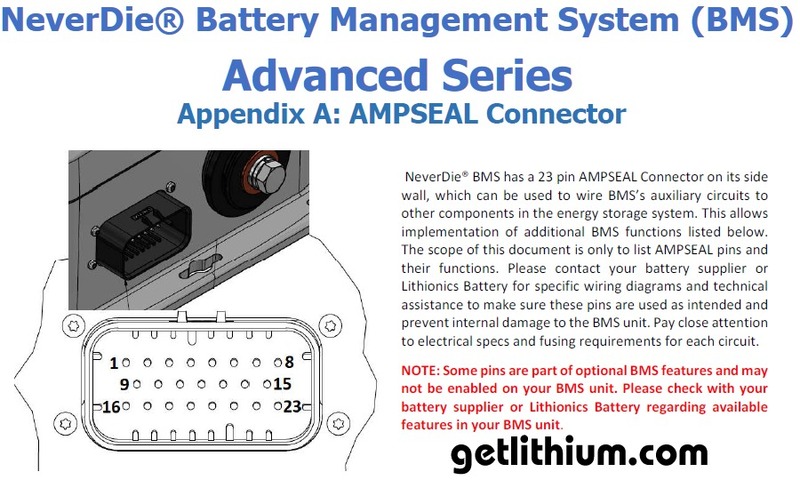 Also included with the Advanced Version 8 BMS is a 23 pin Ampseal that allows you to tap into numerous BMS functions pre-programmed in the BMS by simply changing the harness at minimal extra cost. 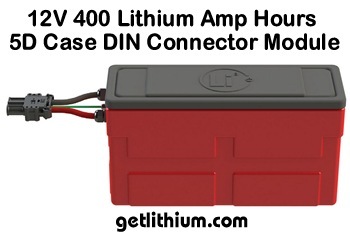 This is a popular lithium-ion battery choice for Van conversions and RV's as it can be mounted on its side so the height is reduced to 8". We may be able to approve a vertical installation so that the footprint is just 8" x 14". 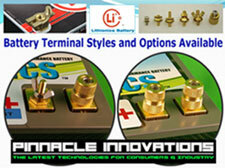 We can also locate the terminals on the short end. 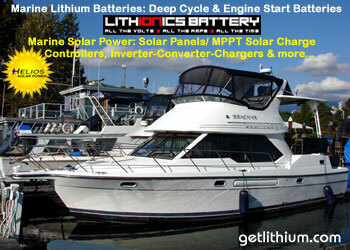 This battery is available WITH the Standard Version 8 NeverDie BMS (8 pin Ampseal) from $6,713.29 USD. 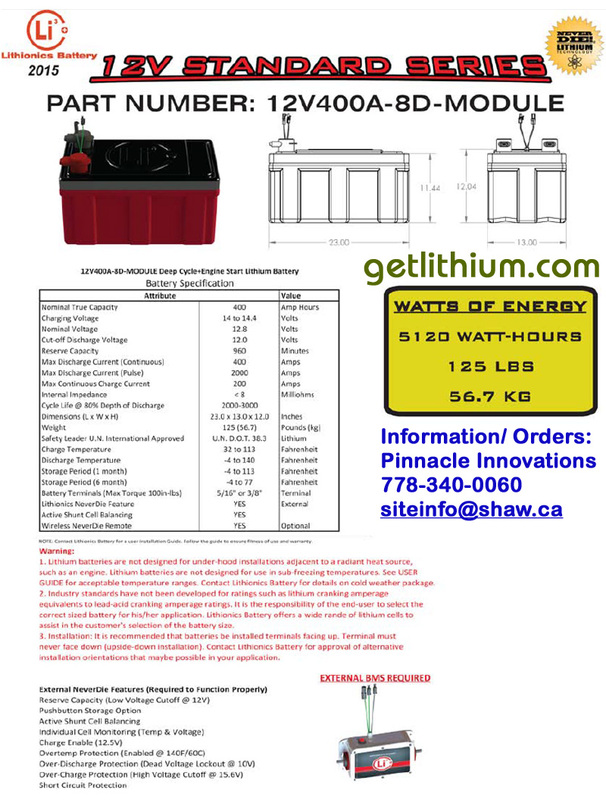 We also offer the Lithionics built-in "Cold Weather Protection System"
external automated heating system for $120.00 CAD. 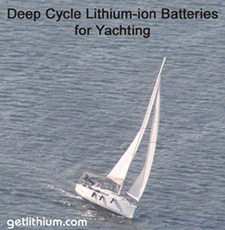 This is internal to the battery and protects against sub-zero temperatures.